599 North Denton Tap Rd. Field 1 (South Field) Closed Get Directions Due to recent weather and current field conditions, the fields will be closed. Field 2 (North Field) Closed Get Directions Due to field conditions from recent rainfall, the fields will be closed today. Field 3 (East Field) Closed Get Directions Due to field conditions from recent rainfall, the fields will be closed today. 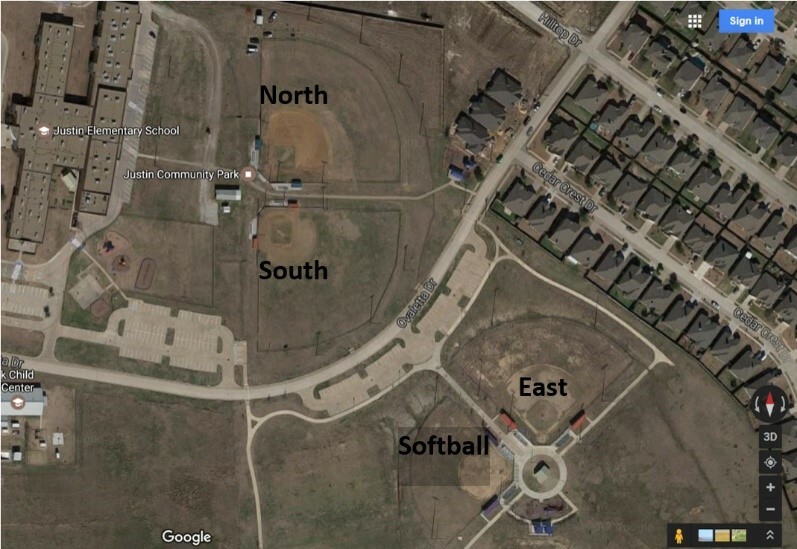 Softball Field Closed Get Directions Due to field conditions from recent rainfall, the fields will be closed today.